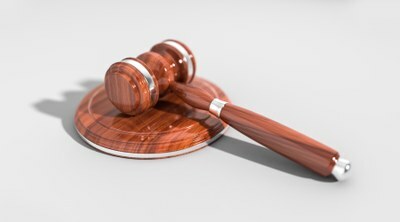 This brief provides a summary of the Traditional Courts Bill, which was approved by the National Assembly on 12 March 2019. It discusses the place of customary law in South Africa and points out that this Bill leads to various problematic legal issues, against the background of a questionable political agenda. A forerunner to the Traditional Courts Bill 2017 (“the Bill”) was introduced in the National Assembly in 2008, but was withdrawn in 2011 as a result of public criticism. The same text was then again tabled in the National Council of Provinces (“NCOP”) in 2012. In public hearings held by the relevant Select Committee in the NCOP, there were widely divergent views and strong opposition (also from ANC-held provinces). In light of the vehement opposition, the Select Committee decided that it was too hot to handle and did not proceed with the Bill. The matter was then resurrected in Parliament in 2017, leading to the current version of the Bill, which was discussed at the Justice and Correctional Services Committee within the National Assembly (“the Committee”) on 6 March 2019. The Committee adopted the Bill unanimously, after two DA Members of Parliament had walked out. However, the Committee’s Chairperson remarked at the end of the proceedings that the Bill, which still needs to go through the National Council of Provinces, would only be dealt with by the NCOP after the May 2019 elections. The Bill was then passed by the National Assembly on 12 March 2019, before being sent through to the NCOP for its consideration. If the history of the Bill is anything to go by, its further progress will not be plain sailing. The preamble to the Traditional Courts Bill (“the Bill”) refers to the fact that the remaining provisions of the Black Administration Act of 1927 (!) and some provisions of former homeland legislation still regulate the resolution of disputes by traditional leadership and are in conflict with constitutional values. the promotion of restorative justice measures through mediation and conciliation. For illustrative purposes, the Bill contains an indicative, non-exhaustive list of customs and practices which infringe on the dignity, equality and freedom of persons and which are prohibited: LGBTI discrimination, homophobia, discrimination against persons who are mentally or physically disabled, and discrimination against persons with albinism and unmarried persons. The concept of restorative justice is defined in the Bill as an approach to the resolution of disputes that involves all parties to a dispute, the families concerned and community members in order to collectively identify and address harms, needs and obligations by accepting responsibility, not only in order to effect restitution, but also to take measures to prevent a recurrence and to promote reconciliation. altercations between members of the community. Specifically excluded are disputes which are being investigated by SAPS, which are pending before another traditional court or any other court or which have been finalised by a court (whether civil or criminal). According to the Bill, the traditional court system is made up of the various levels of traditional leadership as contemplated in the Traditional Leadership and Governance Framework Act 2003. A traditional court must be presided over by a traditional leader or any person designated by the traditional leader. It is to be noted that the Bill does not contain a formal “opt-out” clause if a party is not prepared to submit to the jurisdiction of a traditional court. The Bill does envisage the possible transfer of a matter to a Magistrate’s Court, although such a transfer is dealt with in a round-about manner: it is left to a justice of the peace, after being alerted by the clerk of the traditional court to the failure of a party to attend court, to “request” the traditional court to have the matter transferred to a Magistrate’s Court. This non-mandatory mechanism hardly seems to constitute a satisfactory solution for persons who do not wish to be subject to the jurisdiction of a traditional court. The Bill explicitly states that traditional courts function in accordance with customary law, but subject to the Constitution. Specific reference is made of the need to ensure that its proceedings require full and equal participation by women and that vulnerable persons are treated in an appropriate manner (for example, children, the elderly and persons subject to discrimination on the basis of sexual orientation). The Bill requires that a traditional court gives a fair hearing to persons who may be affected by its decision and that any decision must be impartial. A party to a dispute may be assisted by a person of his or her choice, but no-one may be represented by a legal practitioner. Hearings must be open to all members of the community. accept an unconditional apology as part of a settlement between parties or it may simply issue a reprimand. If an order of a traditional court is not complied with, the clerk of the court must refer the matter to a justice of the peace, who is empowered to summons the defaulting party to a traditional court for purposes of having the matter transferred to a Magistrate’s Court, “to be dealt with afresh”. A party to the proceedings may take the matter on review to the High Court, but such a review is limited to procedural aspects, and may not concern the merits of the case. If it concerns the merits, the aggrieved party may, after exhausting all traditional court system appeal procedures, “refer” the matter to a Magistrate’s Court, which is entitled to hear evidence and to make whatever ruling it feels is appropriate. It is noted that the concept of “referral” is used, not that of “appeal”. The Constitution provides that a traditional authority that observes a system of customary law may function subject to any applicable legislation and customs, and that the courts must apply customary law when that law is applicable, subject to the Constitution and any legislation that specifically deals with customary law. In the Transitional Arrangements to the Constitution, it is stated that all courts, including those of traditional leaders, existing when the new Constitution took effect, continue to function and to exercise jurisdiction in terms of applicable legislation. The Constitution makes it very clear that customary law is subject to the Constitution itself. If there is a conflict between the Constitution and customary law, the Constitution therefore prevails. At first sight, this may seem to settle the issue, but the practical relationship between the Constitution and customary law is far more complex. “evolves and develops to meet the changing needs of the community”. Within this context, it is important to analyse the extent of the authority of a traditional leader. The Bill clearly confers judicial power on a traditional leader. But if one also takes into account the fact that customary law is not codified and liable to change over time, the person who presides over a traditional court simultaneously performs a legislative function in deciding what the rules are that need to be applied. Added to this, the position of a traditional leader also includes executive functions - for example, legislation provides for traditional councils to exercise executive functions and that they must include traditional leaders. The overall consequence of the Bill is therefore that legislative, executive and judicial power may be concentrated in one individual - a traditional leader. This contrasts with a basic principle of the Constitution which recognises these three functions as independent pillars. The only way in which this apparent conflict could be dealt with, without disregarding the essential nature of customary law, is to accept this departure from the accepted structure of constitutional law, but at the same time to ensure that the processes and decisions of traditional courts must conform to the Bill of Rights as set out in the Constitution. Another problematic issue is the consensual nature of customary law. Much has been published on this aspect. For example, “customary law is a system based on voluntary affiliation legitimised from the bottom up” and not on a process which works the other way round. Or “Empirical evidence confirms that customary dispute resolution is more often than not conducted by a community-in-council.” However, the Bill now places a traditional leader in a decision-making (or autocratic) position, in contrast to the Bill’s own declared definition of “restorative justice”, which describes a collective process involving parties, families and community members. A traditional leader is not even mentioned in this definition of “restorative justice” in the Bill, which to all intents and purposes simply confirms that the legislative insertion of such a person would seem to conflict with the consensual nature of the process. Quite apart from issues of principle, there also are specific provisions which present constitutional problems. For example, the Bill contains a prohibition on legal representation, in contrast to the Constitution, which explicitly provides that every accused person has the right to be represented by a legal practitioner. If this provision is challenged, it is difficult to see how the Constitutional Court can permit it to stand. The DA walked out of the Bill’s committee stage because of the absence of an opt-out provision. It opposed the Bill in the National Assembly. The EFF also voted against the Bill in the National Assembly because of this issue and the perceived threats to women’s rights, although it had not opposed it at the committee stage. The IFP was in favour of the Bill. One cannot avoid looking at the whole process in a cynical manner. In taking the Bill through the National Assembly two months before a national election, what purpose was served, other than attempting to gather political support by traditional leaders? At the end of the debate on the Bill in the National Assembly on 12 March 2019, the Deputy Minister of Justice said that “… this is not just an election ploy”, but he immediately added that “this Bill won’t be passed by the NCOP. No, it won’t be passed by the NCOP, it will require further work”. Finally, a complicating factor to the whole discussion is the fact that within South African legal circles in general, there is a limited understanding of the essence of customary law and insufficient work has been done to see how it can realistically co-exist within our constitutional framework. It is easy to point out potential conflicts with the Constitution, but more difficult to draw up a realistic conceptual framework in keeping with Section 39(3) of the Constitution, which provides that “The Bill of Rights does not deny the existence of any other rights or freedoms that are recognised or conferred by common law, customary law or legislation, to the extent that they are consistent with the Bill”. Chapter 12 of the Constitution. As set out in Schedule 6 to the Constitution. AninkaClaassens and Geoff Budlender, “Transformative Constitutionalism and Customary Law”, Constitutional Court Review Volume VI, page 77. This article and that referred to in footnote 6 below, provide a detailed analysis of the subject. Kate O’Regan, “Tradition and Modernity: Adjudicating a Constitutional Paradox”, Constitutional Court Review Volume VI, page 124. . Traditional Leadership and Governance Framework Act, 41 of 2003 - see in particular, sections 3 and 4. NolundiLuwaya, “Vulnerable rural people at further risk as parliamentary committee adopts controversial Traditional Courts Bill”, Daily Maverick, 10 March 2019. Mnisi Weeks and NolundiLuwaya, “Courting Unconstitutionality: The Traditional Courts Bill and How It Strips Rural People of their Citizenship”, Umhlaba Wethu14, Institute for Poverty, Land and Agrarian Studies, UWC, May 2012. This article also addresses the conflation of the judicial, legislative and executive functions in traditional leaders. Section 35(3)(f) of the Constitution. Claassens and Budlender, “Transformative Constitutionalism and Customary Law”, page 96. Unrevised Hansard 12 March 2019, National Assembly, page 145.